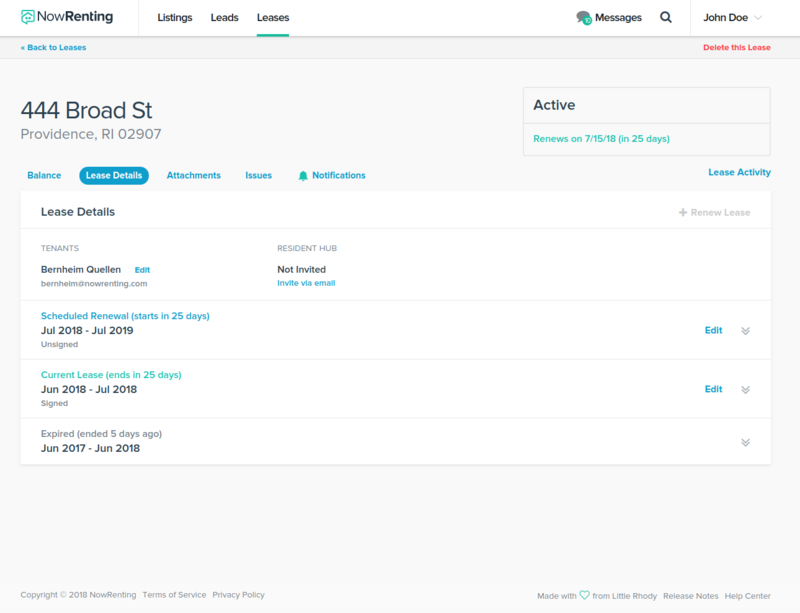 NowRenting allows you to quickly and easily renew a lease, saving you the bother of creating a new one. 1. Just navigate to the particular Lease’s details screen and click the “Renew Lease” link in the top right. 2. Enter the agreement date, duration, rent, late fee and grace period. Note that the start date is calculated based on the end of the lease being renewed, and cannot be changed. Also, it’s assumed that the security deposit will carry over from the last lease. 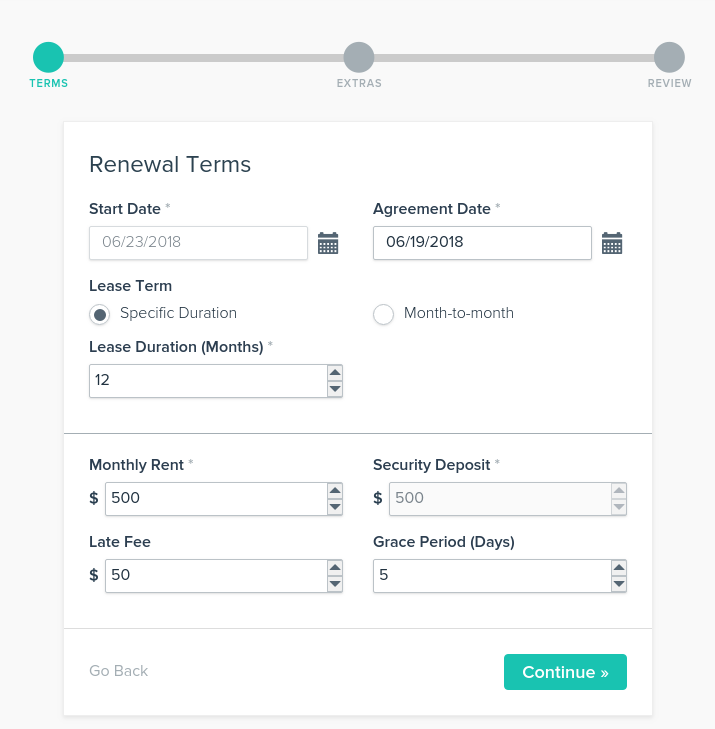 If you need to change either of these fields, you should create a new lease instead of renewing the old one. 3. Review the text of the Lease and sign it. 4. 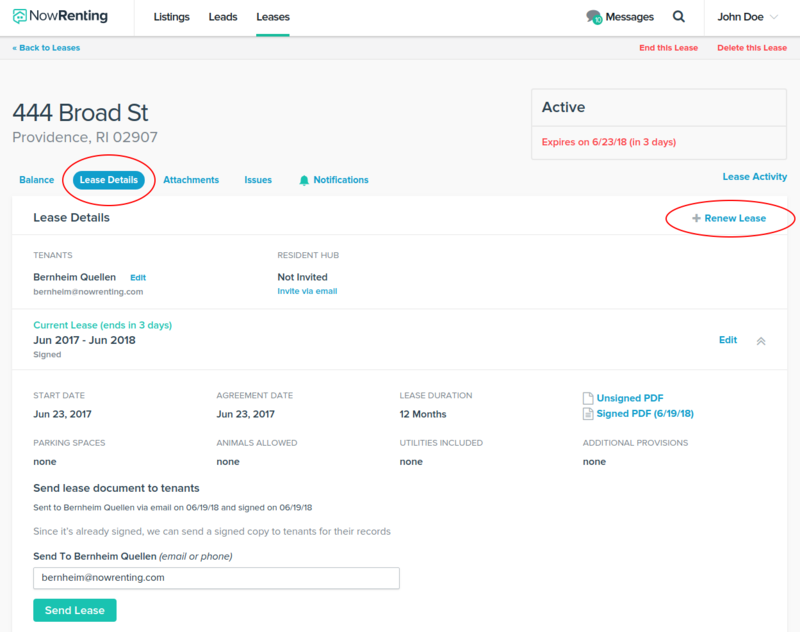 Note that the Sign & Send Lease tab under the Lease Details section now describes two leases: the original lease and the renewed lease you’ve just created. 5. 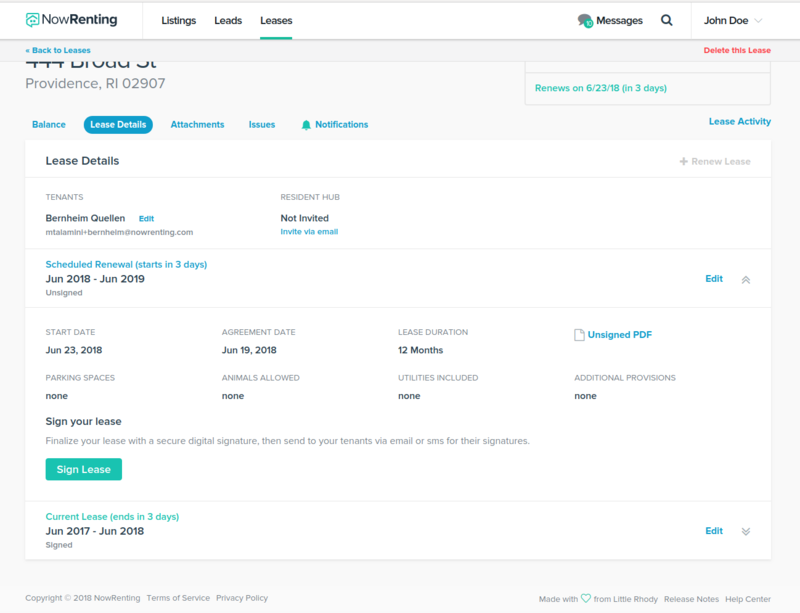 This section will show expired, currently-active and future renewed leases that you’ve created.